The most basic fiber optic measurement is optical power from the end of a fiber. This measurement is the basis for loss measurements as well as the power from a source or presented at a receiver. 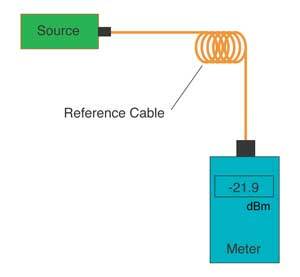 Typically both transmitters and receivers have receptacles for fiber optic connectors, so measuring the power of a transmitter is done by attaching a test cable to the source and measuring the power at the other end. For receivers, one disconnects the cable attached to the receiver receptacle and measures the output with the meter. While optical power meters are the primary power measurement instrument, optical loss test sets (OLTSs) and optical time domain reflectometers (OTDRs) also measure power in testing loss. TIA standard test FOTP-95 covers the measurement of optical power. Optical power is based on the heating power of the light, and some optical lab instruments actually measure the heat when light is absorbed in a detector. While this may work for high power lasers, these detectors are not sensitive enough for the low power levels typical for fiber optic communication systems (Table 1). Fiber optic power meters have inputs for attaching fiber optic connectors and detectors designed to capture all the light coming out of the fiber. Power meters generally have modular adapters that allow connecting to various types of connectors. This connection is considered a "no loss" connection. 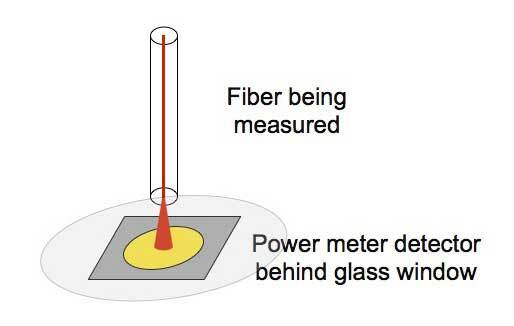 In reality, we do not capture all the light from the fiber because there is a glass window on the detector and that window and the detector are slightly reflective. However the coupling is very consistent and when we calibrated the meter, we calibrate with a fiber optic cable under the same conditions. Thus, what we measure of the light by presenting a connector to the power meter is both consistent and calibrated as long as you choose the proper calibration wavelength. 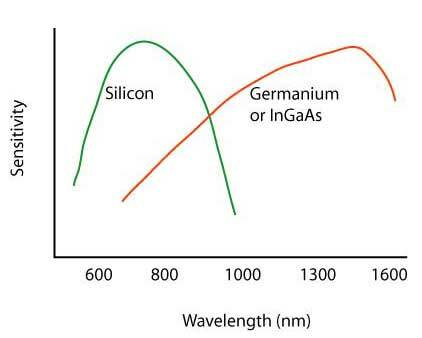 Silicon photodiodes are sensitive to light in the range of 400 to 1000 nm and germanium and indium-gallium-arsenide photodiodes are sensitive to light in the range of 800 to 1600 nm. Silicon detectors are very low noise detectors sensitive to light at approximately 400 to 1100 nm wavelength, depending on the exact method of fabrication. Thus, they are useful for standard datacom links using 820 nm LEDs and glass fiber or 665 nm LEDs and plastic fiber. They can also be used with older telecom systems that used 850 nm lasers. Silicon detectors have inherently low noise, low leakage currents and therefore very low noise floors when used with transimpedance amplifiers in power meters. 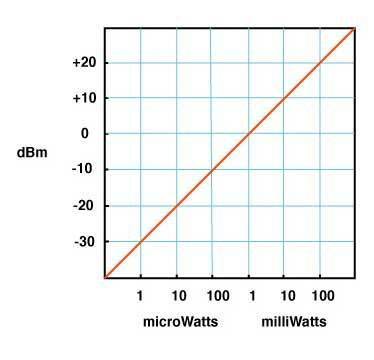 Typical noise floors on fiber optic instruments using Si detectors is -70 to -90 dBm, or about 1 to 100 picowatts. Germanium detectors are sensitive to light in the 800 to 1800 nm wavelength, making them useful for all systems using glass fiber, including 1300 and 1550 nm single mode systems. Ge detectors are noisier however, creating a higher noise floor for low level measurements. This noise is proportional to detector area, so by using a smaller detector, one obtains a lower noise floor. However, smaller detectors require positioning the fiber end very close to the window of the detector and centered accurately over the detector sensitive area. The noise of a 2 mm Ge detector is typically 10 to 50 times lower than room temperature 5 mm Ge detectors. Some manufacturers of fiber optic power meters have chosen to cool these large Ge detectors to reduce the noise and get lower measurement limits. This leads to more sensitive measurements but with a penalty of increased circuit complexity, .instrument weight and short battery life, since one must provide up to 1 amp current to the thermoelectric cooler in the Ge detector package. Another solution for extremely low level measurements at 1300 and 1550 nm is to utilize InGaAs detector technology, , which has been developed for the receivers of high speed long wavelength communication systems. InGaAs detectors have the same sensitivity range as Ge, but are much less noisy. With InGaAs detectors, measurements can be made to -65 dBm (less than 0.5 nW) with ease. However, InGaAs detectors are very expensive, limiting their usage to only the most expensive instruments. Loss measurements were generally measured in dB since dB is a ratio of two power levels, one of which is considered the reference value. The dB is a logarithmic scale (remember “logs” from high school math?) where each 10 dB represents a ratio of 10 times. Calibrating fiber optic power measurement equipment requires setting up a reference standard traceable to a national standards like like the US National Institute of Standards and Technology (NIST, Boulder, CO) for comparison purposes while calibrating every power meter or other instrument. The NIST standard for all power measurements is an ECPR, or electrically calibrated pyroelectric radiometer, which measures optical power by comparing the heating power of the light to the well-known heating power of a resistor. Calibration is done at 850, 1300 and 1550 nm. Sometimes, 1310 nm is used as the calibrated wavelength on a power meter, a holdover from the early 1980s when the telcos and AT&T used 1310 nm as a standard, but the standard for power meter calibration is 1300 nm. To conveniently transfer this measurement to fiber optic power meter manufacturers calibration laboratories, NIST currently uses a laboratory optical power meter which is sent around to labs to use as a transfer standard. To transfer from this transfer standard to production instruments, power meter manufacturers use calibrated detectors or power meters which are regularly checked against one another to detect any one detector's variability, and all are periodically recalibrated to NIST's transfer standards. In order to transfer the calibration, one needs a source of known characteristics. Typically laser sources at 850, 1300 and 1550 nm pigtailed to single mode fibers are used . The laser sources have very narrow spectral width to allow accurate wavelength calibration, and the single mode fiber controls the output beam presented to the detector of the instrument. Each of these sources is checked for wavelength regularly to insure that no drift has occurred. The output power of these lasers is precisely controlled by an optical feedback circuit to insure stability. Even the temperature of the laser is often controlled precisely to insure no drift in output power or wavelength occurs during the calibration process. Using the sources described above, one measures the output of one of the lasers on a transfer standard meter or detector and record the value. The instrument under test is then adjusted to read the same value as the transfer standard detector and a single point calibration is done. For all power meters, especially those with autoranging, one must calibrate on every range, double checking to insure that the meters have a smooth transition between ranges to prevent calibration discontinuities. Calibration is therefore checked at several points near the top and bottom of the range for every meter. Meters calibrated in this manner have an uncertainty of calibration of about +/- 5%, compared to the NIST primary standards. Limitations in the uncertainty are the inherent inconsistencies in optical coupling, about 1% at every transfer, and slight variations in wavelength calibration. NIST is working continuously with instrument manufacturers and private calibration labs to try to reduce the uncertainty of these calibrations. Recalibration of instruments should be done annually, however experience has shown that the accuracy of meters rarely changes significantly during that period, as long as the electronics of the meter do not fail. Unfortunately, the calibration of fiber optic power meters requires considerable investment in capital equipment and continual updating of the transfer standards, so very few private calibration labs exist today. Most meters must be returned to the original manufacturer for calibration. 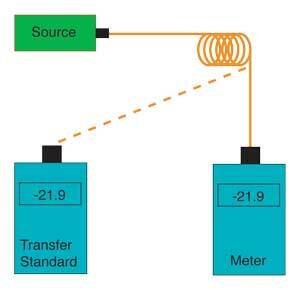 Much attention has been paid to developing transfer standards for fiber optic power measurements. The US NIST in Boulder, Colorado and standards organizations of most other countries have worked to provide good standards to work from. We can now assure traceability for our calibrations, but even so the errors involved in making measurements are not ignorable. Understanding those errors and their probable causes will insure a realistic viewpoint on fiber optic power measurements. The first source of error is optical coupling. Light from the fiber is expanding in a cone. It is important that the detector to fiber geometry be such that all the light from the fiber hits the detector, otherwise the measurement will be lower than the actual value. But every time light passes through a glass to air interface, such as the window on the detector, a small amount of the light is reflected. Some is lost, but some can be re-reflected by the polished end surface of the connector back into the detector , the amount dependent on the type of connector and the quality of its polished surface. And although detectors have an antireflection coating, some light is reflected from the detector surface, which can be re-reflected from the window, connector, etc. Finally, the cleanliness of the optical surfaces involved can cause absorption and scattering. The sum total of these potential errors will be dependent on the connector type, wavelength, fiber size and NA. Beyond the coupling errors, one has errors associated with the wavelength calibration. Semiconductor detectors used in fiber optic instruments (and systems too) have a sensitivity that is wavelength dependent. 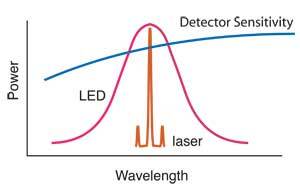 Since the actual source wavelength is rarely known, there is an error associated with the spectral sensitivity of the detector. By industry convention, the three cardinal wavelengths (850, 1300 and 1550 nm) are used for all power measurements, not the exact source wavelength. The source has a finite spectral width, very narrow for lasers, quite broad for a LED. In order to accurately measure the power of the source, one needs to know the spectral power distribution of the actual source being measured, the sensitivity of the detector and perform a complicated integration of the two. The linearity of the meter can be affected by two issues - the slope of the calibration curve and the offset where the meter autoranges. Most meters read power over a large dynamic range, 1,000,000 to 1 (60dB) is not uncommon, and that is beyond the range of the electronics in the meter. To get this kind of range, the meters have a range switch controlled by the microprocessor that changes the gain in the amplifier attached to the detector. The amplifiers are linear and dB is calculated by the microprocessor so it does not matter if you measure in dB or W and calculate dB yourself. Calibration of the meter should include looking at the autoranging points to ensure minimal nonlinearity. This agues for having your meters calibrated by a factory-approved facility who knows where the autorange points are and can carefully calibrate around them. If you just check calibration at low and high points, you may miss autorange problems. Another source of error exists for high and low level measurements. At high levels, the optical power may overload and saturate the detector, causing the measurement to be in error on the low side. Consistent overload may even permanently damage the detector, especially with small area detectors. This is particularly a problem with CATV systems, where the transmitter power is extremely high to get good signal to noise performance at the receiver. CATV power levels are high enough to damage the detector in many power meters, especially those with small area InGaAs detectors. Specialized CATV meters exist where the detector window has been replaced by a calibrated attenuator of approximately 20 dB. Thus they can make measurements at high power levels, up to +20 or +30 dBm, but sacrifice low level power measurements. At low levels, the inherent detector noise adds to the signal and becomes an error. If the signal is 10 dB above the noise floor (10 time the noise), the offset error is 10% or 0.4 dB. Fotec has always specified the measurement range of its fiber optic power meters as 10 dB above the noise floor, but at least one manufacturer specifies it as only 3 dB, which can cause an error of 50% ! Even when two fiber optic power meters are calibrated within specifications, the uncertainty may be +/- 5% (about 0.2 dB) on each meter. A worst case scenario could have two meters deviating from nominal in opposite directions, leading to a potential 10% (0.4 dB) error when measuring the same source and fiber combination. 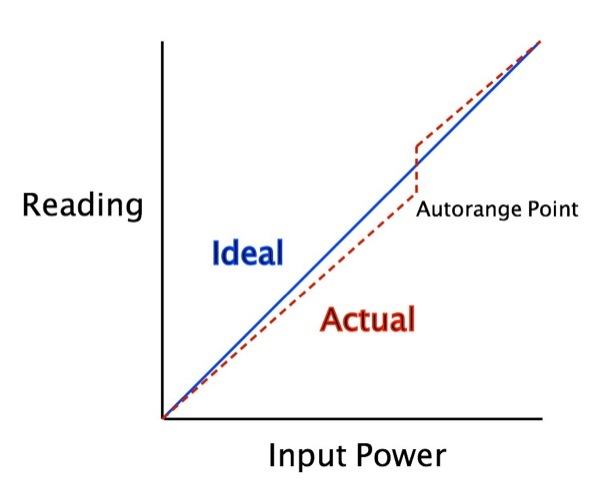 A similar error can occur in a FOPM when amplifiers autorange, unless the manufacturer includes a balance adjustment for calibration of the meter. When one considers why fiber optic power is measured (determining source output or receiver power to determine if a system in within margin or measuring loss), the impact of errors becomes apparent. But without knowing the system source spectral output, system detector spectral sensitivity and the spectral attenuation characteristics of the fiber, one cannot accurately predict system performance anyway. How does one cope with all this uncertainty. On short systems, design the system with adequate margin. On long systems, specify system and test source wavelength and test the cable at that wavelength (or correct for variations in system sources and test source wavelengths.) And remember that the error in optical power measurement may be small to the unknown variations in system components. Fiber optic components are sensitive to physical stress which can induce loss. One can see the effects of physical movement of fiber optic cables and connectors on fiber optic assemblies. A simple bend in singlemode fiber cable can induce several dB loss. All connectors are very sensitive to forces acting on the cable as it exits the backshell. 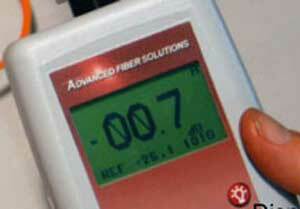 Just handling fibers to make measurements can cause readings to vary by several tenths of dB. Considering the uncertainty of most fiber optic measurements, instrument manufacturers have provided power and loss meters with a measurement resolution that is usually much greater than needed. 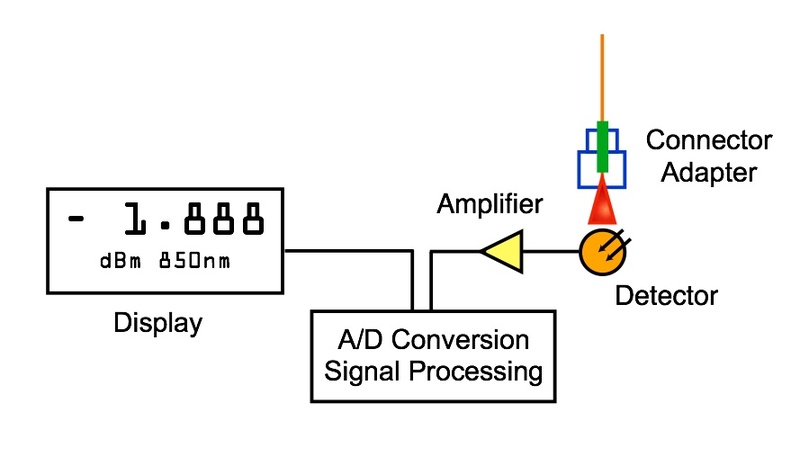 The uncertainty of optical power measurements is about 0.2 dB (5%), loss measurements are more likely to have uncertainties of 0.2-0.5 dB or more, and optical return loss measurements have a 1 dB uncertainty. 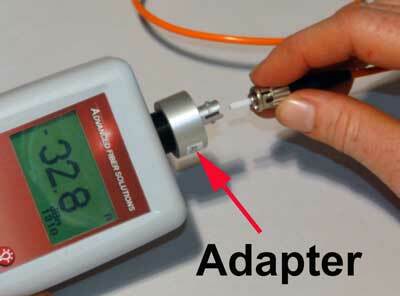 Instruments which have readouts with a resolution of 0.01 dB are generally only appropriate for laboratory measurements of very low losses such as connectors or splices under 1 dB or for monitoring small changes in loss or power over environmental changes Within the laboratory, a resolution of 0.01 dB can be extremely useful, since one often measures the loss of connectors or splices that are under 0.10 dB or changes in loss under environmental stress that are under 0.1 dB. Stability of sources and physical stress on cables limits measurement uncertainty to about 0.02 to 0.05 dB per day, but 0.01 dB resolution can be helpful in determining small changes in component performance. Since one can induce loss in the fiber or cable by bending it, this lost power can be measured. By using a clip-on detector, such as used in fiber identifiers or fusion splicer LID (local injection and detection) systems, the induced loss can be measured. However, the uncertainty of the measurement is very high, due to the uncertain percentage of the power in the fiber that will be coupled out of the core by the induced stress, the amount of power that will be transmitted through the buffer of the fiber (especially with colored buffers) and the jacket of the fiber. Thus this type of measurement is only used as an qualitative indicator of systems power presence, not quantitative measure of system power.